As the release date for Windows 10 draws near, Microsoft released new builds that let users look into the features they can possibly expect when the new operating system launches. 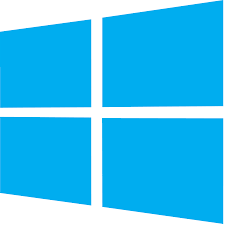 Windows 10 is expected to launch on July 29. Windows 10 build 10162, tech website Neowin reported, introduced a new “tips” feature that will certainly be helpful when users start exploring the new environment that is introduced with the new operating system. When clicked, a tip will initialize the new Windows “Get Started” app that will act as a guide for new users in getting to know the Windows 10 environment more. Windows 10 users can expect these tips to be “sprinkled” throughout Windows 10 in the final build. Aside from introducing tips, Neowin said, build 10162 was geared more towards addressing errors that were found in earlier builds as Microsoft works to create a stable version for release at the end of the month. Windows 10 will introduce many features including a brand new browser called “Edge.” Edge will also come with a feature called Cortana that enables users to use a virtual assistant to make tasks like booking travel reservations and browsing through reviews a lot easier. Cortana will also allow Windows 10 owners to synchronize their documents with Microsoft’s Cloud-based product, Office 365. Certain Windows 10 features will also be made available to Xbox One, according to a report at IGN. One of these features is an enhanced game hub that will allow players to initiate an Xbox One streaming session directly from the specific game’s hub page. The game hub also features an activity feed that will allow players to share recorded gameplay videos as well as screenshots, IGN stated. The features will first be previewed by Windows Insiders, IGN revealed.